Today, I have a different sort of card for you. It's a z fold card. I kept it monochromatic as I simply love the turquoise colour. This is the card I guest designed for Crazy Challenge, the theme for this week is "Bundle of joy". The ribbon is actually something I saved long ago. It just went well with these pretty glitter papers from DCWV Blossoms paper stack. BTW, I made this baby cart on my own using a circle. 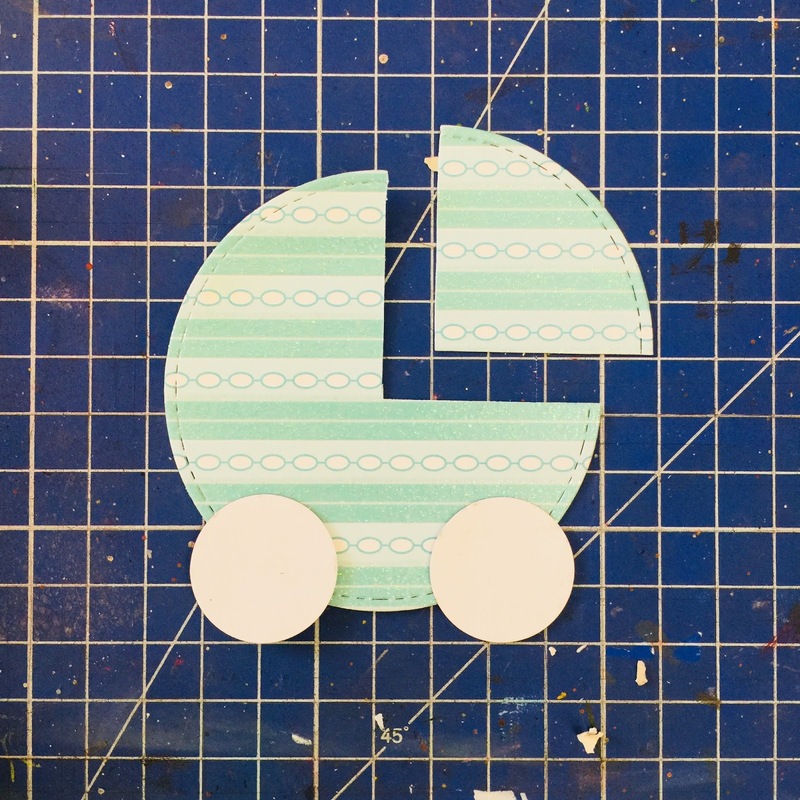 I cut out a quarter of the circle die cut, and added 2 little circles as wheels. Added a few glitter quilling strips to make everything look more composed. It's so easy! I hope you like my effort.